There was fierce fighting throughout last week between the Libyan National Army (LNA) and jihadists from the Benghazi Revolutionary Shura Council (BRSC). 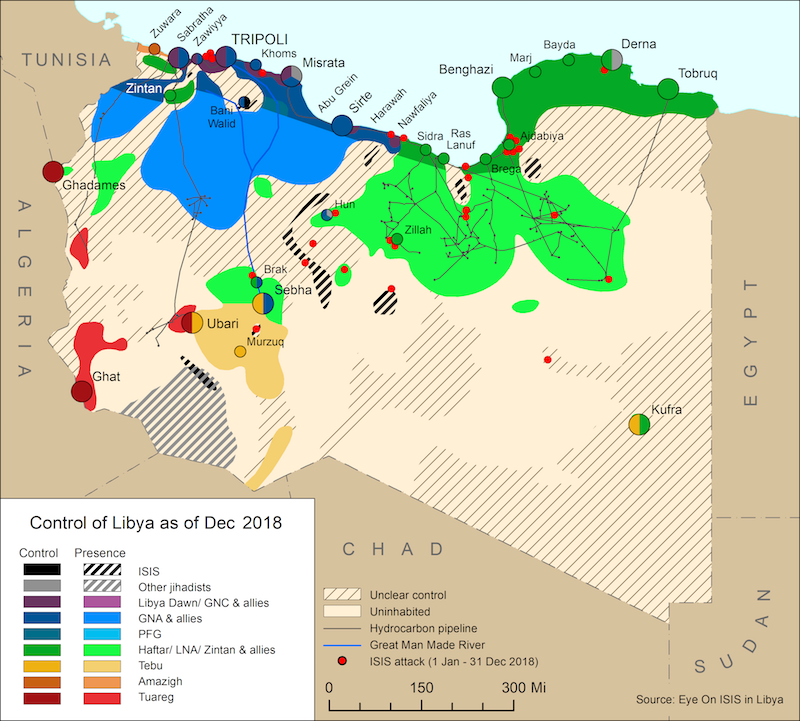 On 13 June, the LNA fully seized Benghazi’s iconic Tahrir Square and the courthouse that faces it – this is where the Libyan revolution began on 17 February 2011. One LNA fighter was killed and two of his companions injured when a device, thought to be a land mine, exploded as they searched the former internal security headquarters just a day before. A mortar shell, apparently fired from Sabri, landed close to the Jalaa hospital but failed to explode. The hospital is the main reception centre for the LNA’s wounded. On 15 June, the LNA continued to push deeper into Souq al-Hout. The bodies of at least two jihadist fighters were discovered. One was identified as Ihab al-Suwwai, member of the BRSC, and the other as Talha Salahaddin Azzouz, a member of Ansar al-Sharia. On 16 June, the LNA continued their ground advance into Souq al-Hout and Sabri, under cover of intense airstrike and artillery bombardment. Five LNA fighters were killed in the operation, three of whom were killed by mines and two who were shot dead by snipers. 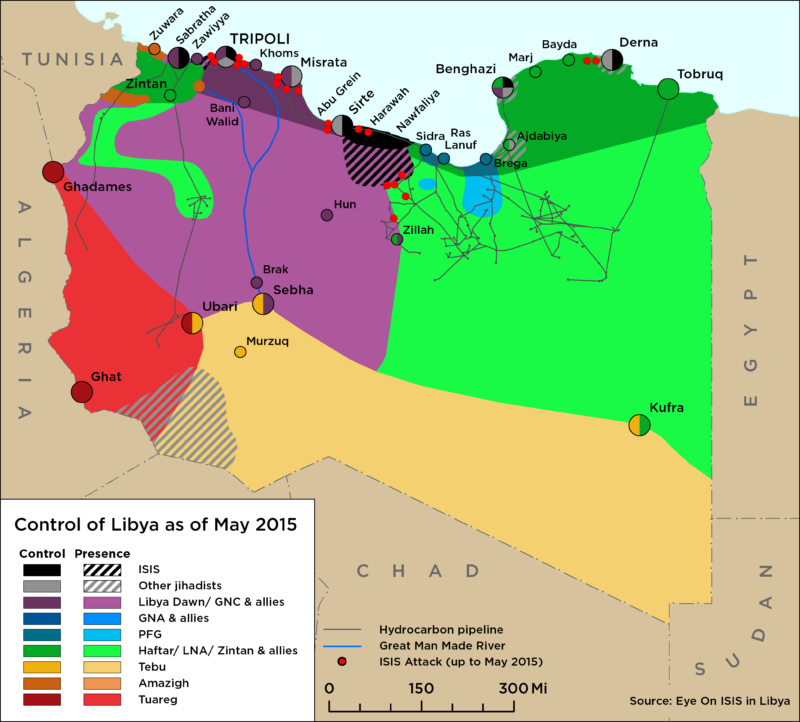 LNA squads subsequently announced their full takeover of Misrata Street and the Wahda Bank main office. Significantly, most BRSC social media outlets acknowledged ‘defeat’ last week, thanking the remaining jihadists for fighting and lamenting the lack of support from allies in other Libyan regions.